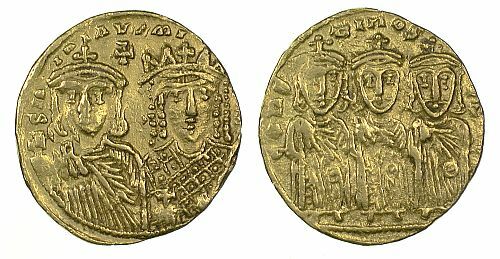 Following the monetary reforms of Anastasius I (491-517) in 498, the Byzantine monetary system reached the height of its complexity in the sixth century. Several mints in cities across the Empire struck coins of gold, silver and base metal (copper alloys). The base metal coins in particular showed a great variety in design and even denominations. 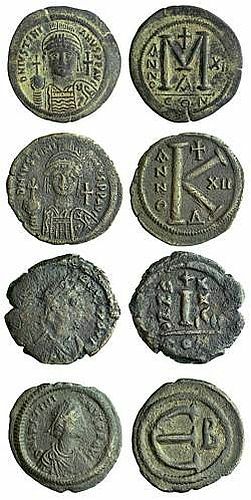 As North Africa, Sicily and the Italian mainland were “returned” to the Byzantine Empire in the 530s, so did their mints – at Carthage, Rome and Ravenna – bring their own customs and practice, under the Vandals and Ostrogoths, to the new imperial coinage. 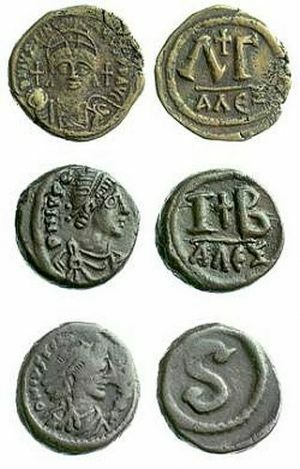 The Barber Coin Collection’s main Byzantine strength, however, lies in the seventh century. Seeing the rise of Islam, collapse of the Sasanian Persian world to the East and the further contraction of what might be considered the Roman world, the seventh century is one of the most pivotal centuries in human political and religious history. 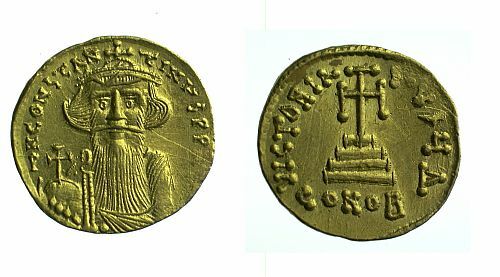 For the Byzantine coinage it sees the full Christianisation of the coinage it had been surprisingly lacking in the previous three centuries since the conversion of Constantine I. The reign of the Emperor Herakleios (610-641) saw a decrease in the amount of mint autonomy and localised numismatic expression in favour of an apparently more centralised message. 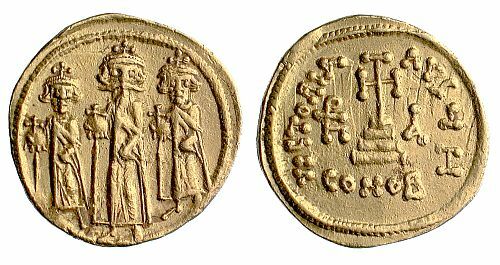 The ambiguous reverse figure of the earlier gold coinage – interpreted by some as the Graeco-Roman goddess of victory, Victoria/Nike, and by others as an angel – is removed in favour of the unambiguously Christian cross potent on steps (first introduced under Tiberius II (578-582), but not retained or regularised) on the solidi/nomismata, the globus cruciger on the semisses and the simple cross potent on the tremisses. The base metal coins, however, become ever scrappier – overstruck with poorly engraved dies and often countermarked too, some even clearly being struck on a quarter of an old coin and retaining a triangular shape. 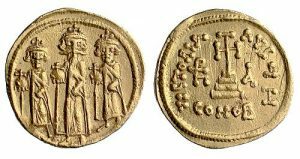 Moving toward the eighth century and the period of iconomachy, sees an apparent demonetisation in the Balkans and Asia Minor. 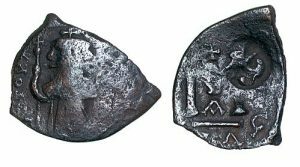 It is not clear whether this is due to current archaeological practice (focussing on sites where de-urbanisation occurred), continued use of older coins (a coin can tell you when it was struck, but not when it was last used), or a return to a semi-barter economy. Sicily and South Italy seem to have escaped the brunt of this phenomenon, however. Iconographically, the coins of this period focus on the family – imperial ancestors and intended filial successors.